Everything smells and tastes better in the summer, most notably in the middle of July! Del Mar 2018 is nearly here. Where stress levels drop to 0 (except when the stewards innocuously take down your horse) and it's sunshine until nine. 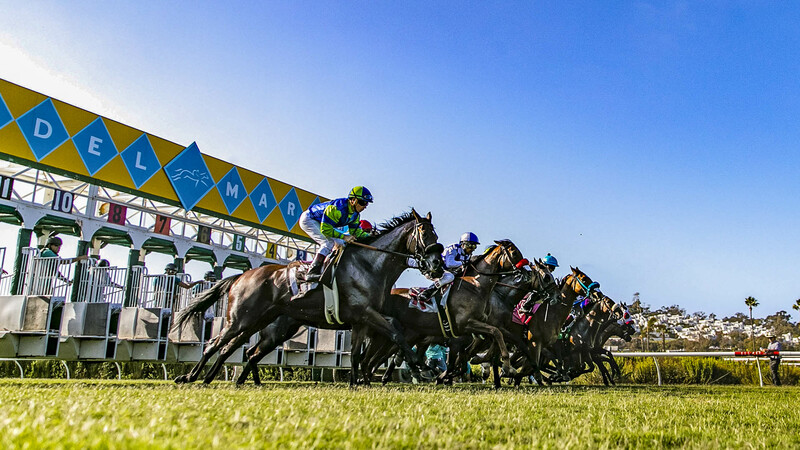 With purse increases in Southern California, racing is hotter than the weather (always 78) and with over 400 active partners, Little Red Feather will descend upon the seaside track for its best summer yet. Breathe, soak it in, and enjoy our annual list of the Top 25 things to do this summer (and every summer) where the turf meets the surf. 1. We start this year in Youngstown, OH where Alice Handel invented an ice cream so good that 2,414 miles away it creates hour long lines in Encinitas, CA. Handals Homemade Ice Cream made America great again and Alice deserves a statute next to the Cardiff Kook. 2. The La Jolla Beach and Tennis Club and Hotel is a hidden jewel with a slew of activities for both adults and kids. We highly recommend spending a night at this historic hotel. Private beach access in San Diego is rare. Take advantage of it. 3. We love food. And BBQ. And last year we discovered the most authentic BBQ west of Texas. The Grand Ole BBQ in North Park serves it the Grand Ole way - - until they run out of food. Lines form starting at 6pm for dinner. Get there after 7:30pm and you're eating at Chipotle. 4. Ken Sushi Workshop. Former chef at #1 spot Sushi Ota opened this beauty last year. North County folks now don't have to fight rush hour to Pacific Beach for great sush. Go Omakase and you'll forget they put this gem in a nondescript office building parking lot. Arigato. 5. Fishing. Every year we take up a new local activity, and this year the GONE FISHIN' sign is up. And we're taking this guy with us. Bloodstock agent Craig Boomer Rounsefell is a master at selecting horses and finding the best fishing spots. 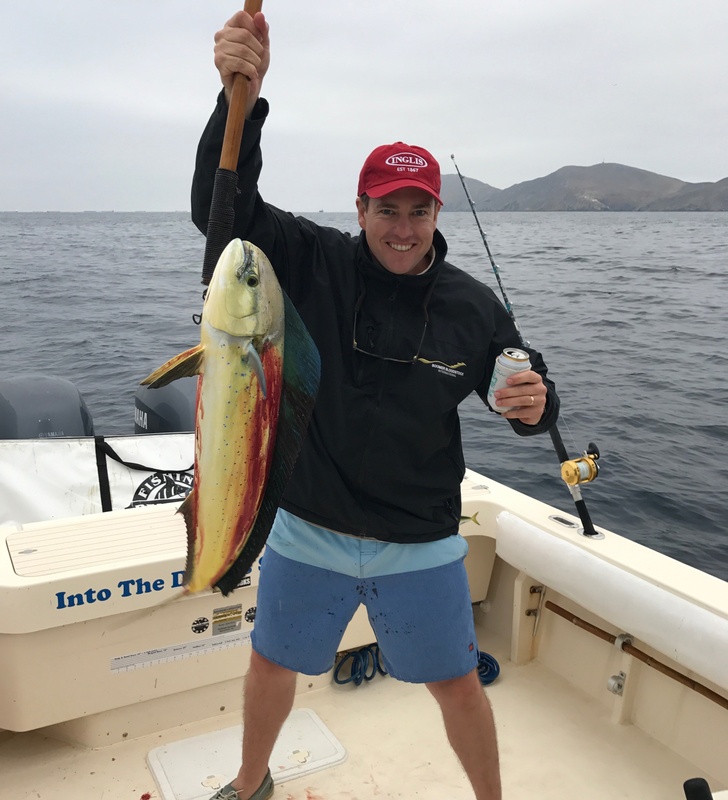 From deep sea fishing near Mexico to local jaunts off La Jolla, San Diego is a fishermen's dream. 6. Balboa Park. Whether for a run in the morning or a visit to the over 10 amazing museums, this is Central Park of San Diego. It's impossible to hit all the attractions like the Air & Space Museum, the Natural History Museum and the Fleet Science Center, but you can certainly have fun trying! 7. Old Globe. Speaking of Balboa Park, every year this playhouse puts on an outdoor Shakespearean play that is "a spectacle under the stars". Also, on the calendar is Dr. Seuss' The Lorax and Neil Simon's Barefoot in the Park. You can't come home with just winning Pick 4 stories. 8. Pamplemousse & The Market. Last November, Pamplemousse owner Jeffrey Strauss blew us away with his catered breakfast at the Breeders' Cup chalet and reminded us what a master chef (and horse owner) he is. The Pamplemousse is a must stop, if nothing more than to see Mike Smith holding court in the bar. Then it's off to our all-time favorite restaurant, The Market. If you don't agree, we should just break up now. Every menu item is an an out of this world experience. You will never enjoy a better skirt steak or rib eye cap. Sushi only in the bar. Don't ask what happened to the pizza guy. 9. Private Tour of the Del Mar Racetrack. It's back! DMTC's Mac McBride walks LRF Partners through the iconic racetrack with the best Del Mar stories you ever heard. Trust us. You will never forget this special 90 minute tour. Email us for details. 10. Sunset Cliffs. 68-acres of amazing sights that extends 1½ miles along the Point Loma peninsula's western shoreline. This unique coastal environment features expansive ocean views, dramatic cliff formations and caves, a fascinating intertidal area, and a native coastal sage scrub habitat. It's also very pretty. 11. Mission Cafe. Ever since #8, I've been thinking about breakfast and the banana pancakes at the Mission. If there was a comic-con style convention for pancakes, it would be hosted here. Other good breakfast spots include The Naked Cafe, Claire's and Americana. 12. You can take a Train... Going from DTLA to Solana Beach never felt better. Relax and enjoy a stress free ride to heaven on the Pacific Surfliner. When you get here a British style double decker will take you right to the racetrack. If you do everything in the Top 25, this might be your favorite. 13. Old Town Mexican Cafe. San Diego was built on authentic Mexican food and you won't find anything more original than dinner in Old Town. When flying into town, it is usually a must stop on the way up from the airport. 14. U.S.S. Midway. Step aboard and transport yourself into a World War II movie. There would be no Del Mar, if not in part, for the men and women who lived on this war ship and you'll experience first hand what they went through. 15. Turf & Surf BBQ Championship. There is only one thing better than horse racing and BBQ.... it's horse racing and BBQ at the same time!! Pitmasters from around the country compete in this official KC Barbecue event during the races on August 20th. Last year, I won the award for eating the most tri-tip samples. 16. New Children's Museum. If you don't have young kids, skip the next three recommendations. This not-so-new anymore space will entertain and educate the kiddos for hours. You might have fun too. 17. Botanic Garden. Think of this as the more rustic outdoor version of the New Children's Museum. Active play using motor skills in a beautiful - and much closer - setting. And there are nice benches for Dad's to read the racing form. 18. San Diego Zoo. I mean it can't be a Top 25 list without this mecca. It's nice to see others care about animals as much as we do. Del Mar legend Cape Capener created the "Capener Kid Map" which shows how to get in and out in under 60 minutes - and that includes the Skyfari ride. Email us for details. 19. Humphrey's by the Bay. Huey Lewis once asked the freeloading concert goers who rolled up in their kayaks to drop money in a tin cup. This 1,000 seat outdoor venue is the coolest place I've ever been for a live concert. And yes, we like Huey Lewis. Deal with it. 20. Board n Brew. After a morning at the beach, head here on your way home for award wining sandwiches. Order online or you'll be waiting in big lines with a bunch of college kids in bikinis. Or don't order online. 21. Blue Ribbon Pizza. No better pizza in Encinitas. Fine, all of San Diego. But it's the fancy, foodie type of pizza. And you will love it along with the butterscotch pudding. 22. Attend the Hoedown for Horses Carma Cares Charity Event in the Paddock at Del Mar this year after the races on Sunday July 22, 2018. Support CARMA and the aftercare of our equine athletes in a great setting where you can mingle with the industry's elite. This party is always a nice kickoff to the meet. 23. 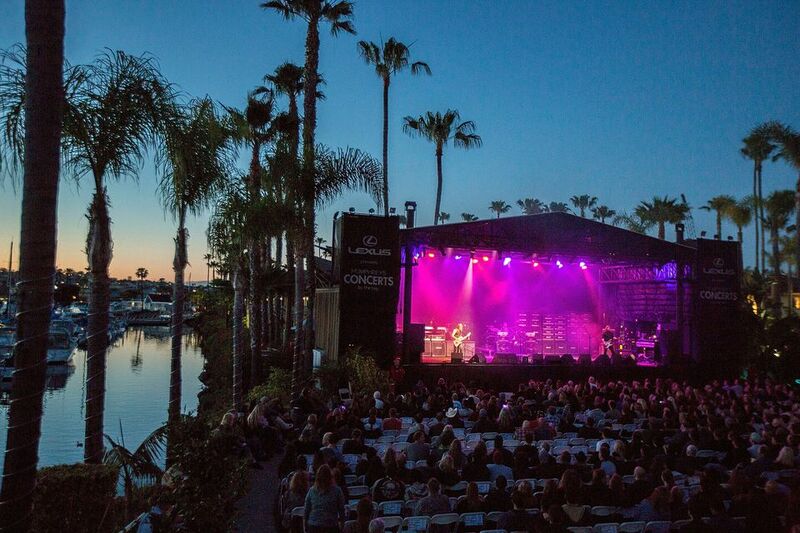 Concerts at the Cove in Solana Beach and Power House Park in Del Mar. Sunset concerts at the beach are extraordinary. Just bring a beach chair and a picnic basket and your husband or wife will forget that you ignored them all summer playing the ponies. 24. Del Mar's Ontrack Handicapping Challenge. Take on the best of the best in this annual contest with over $300,000 in prizes including an entry into the National Horseplayers Championship in Las Vegas in February 2019. If you've never participated in a live ontrack tournament, TRY IT! 25. Last, but not least, craft beer has become very popular in these parts and we've enjoyed the new outdoor Viewpoint Brewing Co. The beer is micro clean, the food delicious and you better bring your A game because after dinner someone will challenge you to corn hole or skee-ball.